My art tells a story and/or is focused on "the woman". The themes are endless and are only limited by our imaginations. 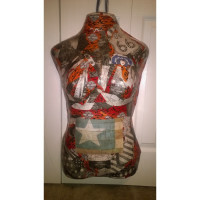 This is all displayed on a paper Mache body form and each piece has a heart on it. It is my way to give tribute to the many facets of the woman. I am blessed to have strong, compassionate, loving, funny, and amazing people in my life that I want my work to convey these attributes. I want women to be confident, strong, and compassionate, and hope they find something in my art that will remind them that they can be and do anything. My first piece, "My Babies", was made for my mom and featured her picture and all ten of us, as well as her favorite recipe, songs she sang, or things she taught us. It was intended to hang in her room with simply her pearls hanging on it, instead she displays it in her living room as art. Each piece is unique and takes about 2 weeks. 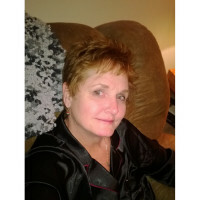 I make different themes and can be commissioned to make one that is personal for you. I hope you enjoy them. 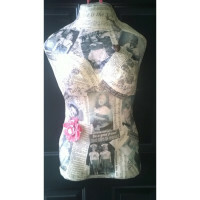 Paper Mache Body Art - It's a WomanThing! 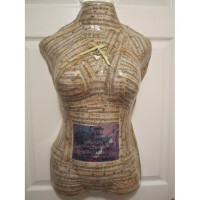 - Hang on your door in your bedroom, to hold neck..
FOR BIDDING ONLY - NOT FOR SALE "I Fight Like A Girl" honors those who have fought or continu..